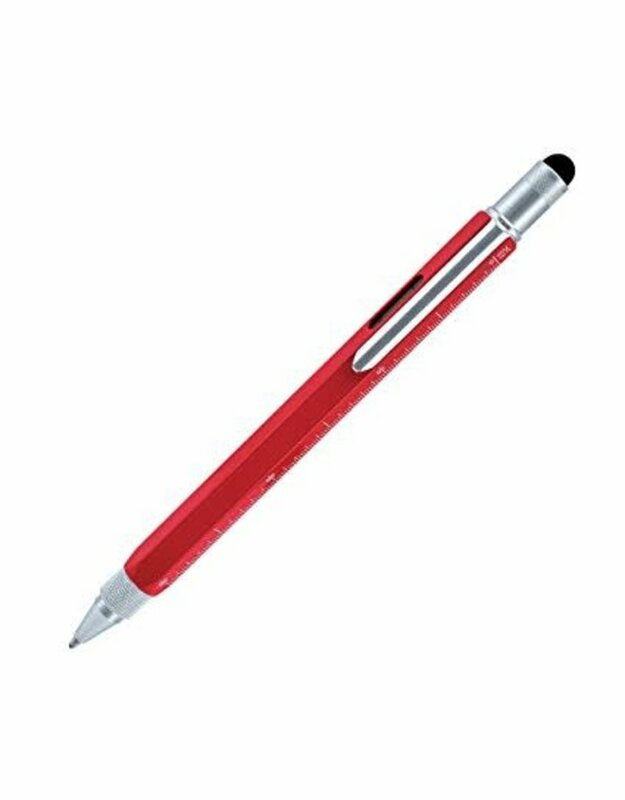 Part of Monteverde's Tool Pen line of clever multi-functional writing instruments, this mechanical pencil is packed with handy features for working at your desk and around the house. 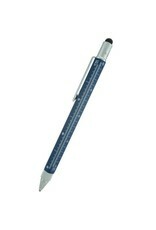 A capacitive stylus for use with smartphones, tablets, and other capacitive touchscreen devices. 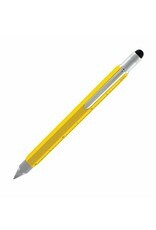 To refill the pencil, remove the old lead by turning the pencil tip clockwise until it stops and pulling out any remaining lead. Then, turn the tip counter-clockwise about one turn. 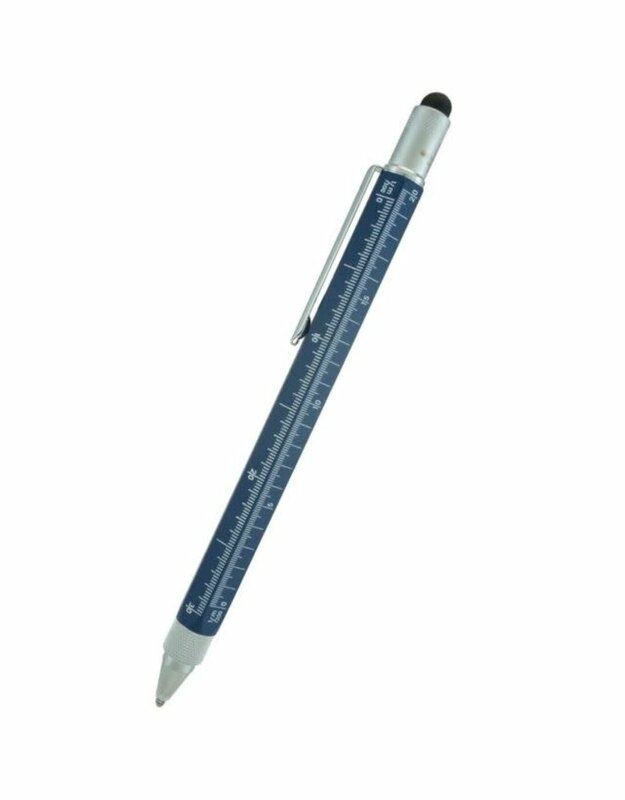 With the pencil tip pointing up, insert a piece of 0.9 mm lead into the tip, and turn the tip counter-clockwise until about 1/8" of lead remains showing. 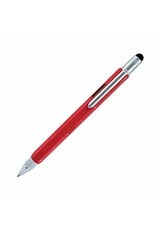 Gently press the lead onto a solid surface to secure it into the mechanism. 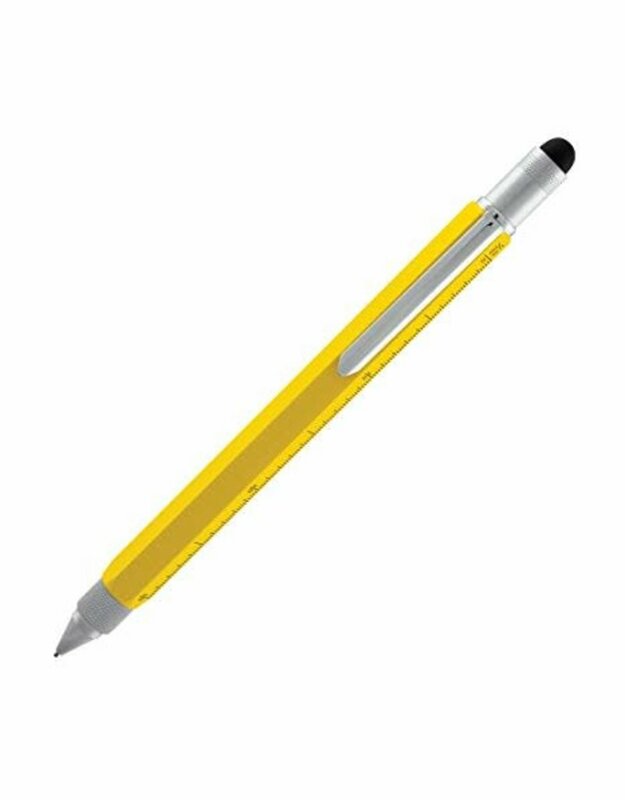 The pencil comes with one piece of 0.9 mm lead installed.